We are experiencing technical difficulties with our phone system. Until the problem is resolved, please use the following alternate numbers. TAKE A BOLD STEP. STAND UP FOR WATER. We take craftsmanship and Attention to detail seriously. And we love our work. solving problems and producing quality. Bold teamwork. Interested in Creating a Custom Design? 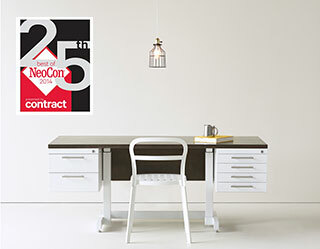 BOLD Furniture manufactures distinctive, highly functional and adaptable standard and custom furniture and fixtures for all kinds of work environments. 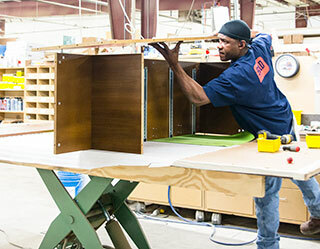 At BOLD FURNITURE, we're working every day to make a good impression. That's why designers and businesses depend on us: They want to make a good impression, too, and they know they can count on BOLD to deliver. Our roots in custom and OEM manufacturing have taught us a lot that helps us design BOLD furniture to be as close as possible to infinitely flexible. 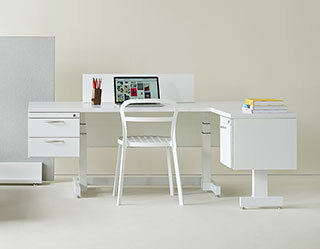 In open, collaborative office environments, we've seen that mobile, freestanding furniture gets people to work quickly, and simple, adaptable furniture keeps up with the inevitable changes in work and organizations, whether they're growing, reorganizing, or relocating. Whether you're starting with a blank slate or a product that almost works, BOLD can design and make what you need. 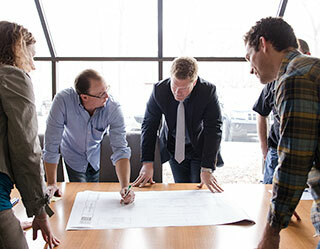 Our experience with mixed materials and manufacturing expertise deliver exactly what's needed for financial, healthcare, education, retail, and office environments. We can be sure your product meets both your needs and your budget. We provide BOLD manufacturing support that frees our clients to do what they do best. Our design and engineering team can run with the ball or partner to determine exactly what's needed. If it's needed, we can provide product design, engineering, material selection, manufacturing, logistics, delivery, and installation. Whether complete products or component parts, we can deliver high-quality goods that help you reduce costs, increase efficiencies, or shorten lead times.